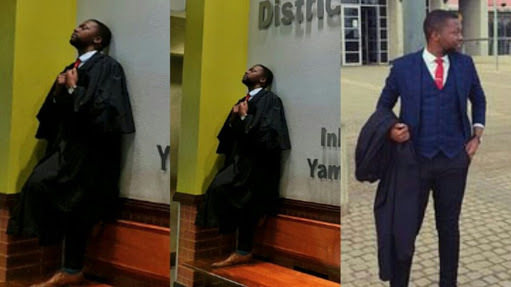 A young man identified as Kamohelo Mokoena just shared an interesting story on social media. He is a lawyer in South Africa. He said he was abandoned by his father at the age of 5, but that didn’t stop him from pushing further. It was difficult for him but he composed himself, proceeded to represent his dad, and they won the case. 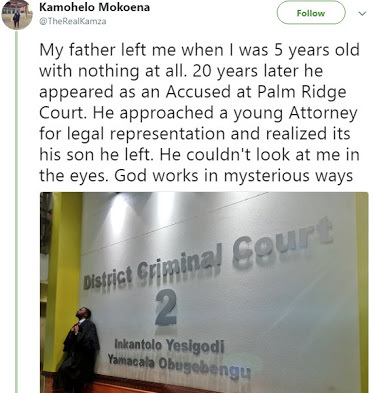 After the case was won, his estranged father gave him a big hug, and told him he’s proud of him. See beautiful Wears for Men & Women, Toys for Kids, Latest Phones, Laptops at very affordable prices.